What Melbourne Information are You After? 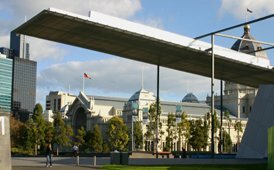 Whether you are a local, tourist or traveller, here is some Melbourne information you will find useful. I find it fascinating how a place is shaped by its history. For an overview of Melbournes people, location, architecture and business, check out the fast facts on Melbourne . Melbourne history is short - and it sheds some light on what type of city you are dealing with. It was founded just over 170 years ago, by Tasmanian farmer John Batman who bought land around Port Phillip Bay from the Aboriginal owners, and John Pascoe Fawkner, who quickly moved in on the deal. It was then put on the map through the fast money of the Gold Rush. Since then it has grown through booms and struggled through busts to what it is today  passionate, aesthetic, and beautiful. 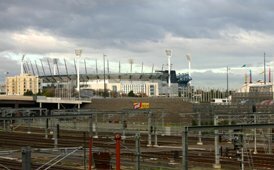 Here is some travellers information and a map of Melbourne that will help you create a smooth Melbourne visit. Especially if you are from overseas, it can take time to understand how it all works. I am German and have put my foot in many times, especially in the early years. In my first months in Australia, I was building a table and needed another screw (they still sold them losely then) and asked for it at the local hardware shop. I was greeted by the roar of 3-man laughter. So, not knowing Australian slang can get you into some situations. There are many other bits of information that are useful, such as the time in Melbourne Australia . To find out whether you need to tip, currency exchange, banking and health, check the Melbourne Tourism information. I always like to have a map when Im in a new place. I am not one for studying maps or time tables, but it gives me the independence of getting where I want to go on my own initiative. You can get some free Melbourne city maps in the Melbourne information centre at Federation Square. But that might not be enough. Its worthwhile to invest in a good map of Melbourne, Victoria or Australia. Melbourne is a picturesque city, especially in the golden glow when sunlight is breaking through the clouds. It is lush and rich not just in landscape, but also people, details and works of art. I try carrying my camera most of the time  and have missed so many opportunities when I didnt. Many Melbourne pictures capture the spirit of this city and will give you a good idea of what it is about. Melbourne has so many faces and is the chosen city for such a variety of sub-cultures and people. 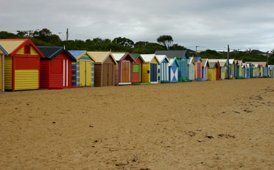 Here are some ideas of how to travel Melbourne. If your Melbourne visit is part of a longer Australia holiday, this Travel Australia Planning Guide has some great travel tips. It does not matter so much with Melbourne, but there are some definite times when it is best to travel to the outback or the Kimberlies. Make sure you know what you are dealing with. Australia is a civilised country but many of its parts are still wilderness  I have seen oversees tourists suffer with the sometimes harsh Australian conditions.